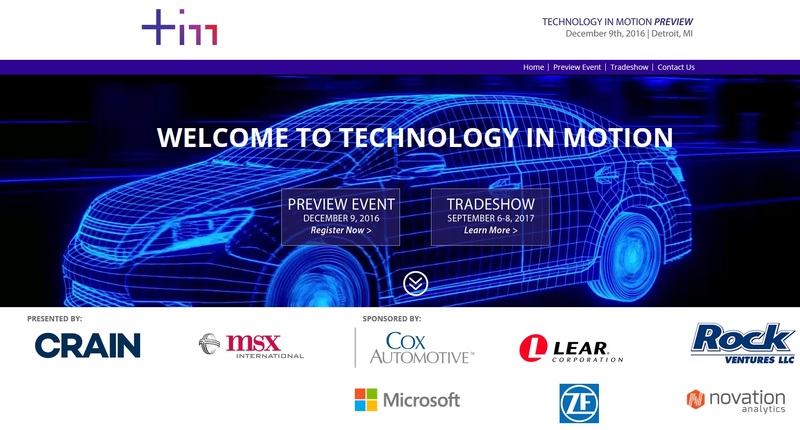 DETROIT — Crain Communications Inc. and MSX International announce the launch of Technology in Motion (TIM), an automotive technology exposition and conference scheduled to be held Sept. 6-8, 2017, at Cobo Center in Detroit. The companies said the event is intended to become a prominent technology and mobility event, drawing together automakers, auto suppliers, and the technology community. Among the subjects of TIM 17: technological advancements in autonomous vehicles, connected cars, and mobility and propulsion systems. 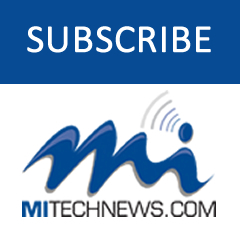 “The automotive industry is using new technology to progress at a very rapid pace. 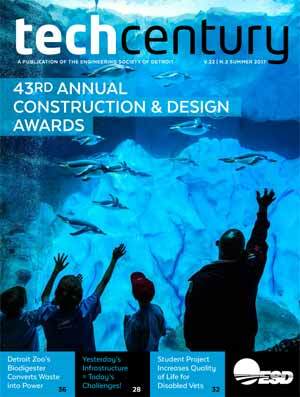 Safety, user experience and vehicle efficiency top the list for future vehicle improvement,” said K.C. Crain, executive vice president and director of corporate operations at Crain Communications. On Friday, Dec. 9, a preview event for TIM 17 will be held in the General Motors Auditorium at the College for Creative Studies’ A. Alfred Taubman Center for Design Education at 460 W. Baltimore Ave. in Detroit. * Matthew J. Simoncini, president and CEO, Lear Corp.
* Aine Denari, senior vice president, planning and business development, ZF North America Inc.
* Steve Hanna, director of solution sales for manufacturing, Microsoft Corp.
MSX International is a Detroit-based business process outsourcing provider. More at www.msxi.com. Crain Communications is a privately held media company that produces 21 print publications and 34 news websites, reaching six million people in the United States, Europe and Asia. Included are Detroit-based Automotive News and Crain’s Detroit Business. More at www.crain.com.